Hatfield has been our home since the early 1990″s. Providing high quality treatments and individual patient care so that you are happy, relaxed and recover fast . 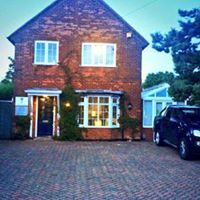 The Welwyn and Hatfield practice is one of Hertfordshire’s leading complementary therapy practices. A recent audit of patients in the Hatfield, Welwyn Garden City and St. Albans area showed that over 97% of our patients showed a considerable improvement in their symptoms after three visits here. Nearly all of our patients come to The Welwyn & Hatfield Practice via recommendation from their family, friends, GP’s or consulting specialist. We pride ourselves in being considerate and effective. Dating back to Saxon times, the village of Hatfield was first known as “Hetfelle” and then became known as “Haethfeld” when around 970 King Edgar gave 5,000 acres to the monastery of Ely. No records remain from this time until 1226 when Henry III granted the Bishops of Ely rights to an annual four-day fair and a weekly market. Old Hatfield retains many historic buildings notably the Old Palace, St. Etheldreda’s Church and Hatfield House. Perhaps the most famous local historical landmark is Hatfield House, seat of the Cecil family, whose history is not only closely interwoven with that of the town but also of Tudor times. Princess Elizabeth Tudor was confined for three years in what is now known as “The Old Palace” in Hatfield Park. It was here in 1558, whilst said to be sitting under an oak tree in the Park, that she learned that she had become Queen following the death of her half-sister, Mary. Records show that within a few days the young Queen Elizabeth held her first Council in the Great Hall (The Old Palace) of Hatfield. The opening of the de Havilland aircraft factory prior to the Second World War resulted in further rapid growth of the town. The birthplace of the Mosquito, Comet and Trident ensured that the name of Hatfield will forever be linked with the history of British Aviation. The de Havilland Company, later Hawker Siddeley and finally British Aerospace became the district’s largest employers. The urgent post-war demand for new housing and the growth, locally, of de Havilland’s and other factories resulted in Hatfield being designated as one of the eight “new towns” to ring London. Distinct “new town” characteristics are the number of trees and open spaces which were outlined in the original design. The closing of British Aerospace in 1992 had a serious impact on the area. However, with Hatfield Business Park and the University of Hertfordshire already established and expanding and the redevelopment of the airfield site taking shape, the future of the Town is exceptionally promising. The population of Hatfield has expanded to over 32,000 and is still growing. Situated in the south of Hertfordshire, Hatfield is 20 miles to the north of London and separated from the city by the Green Belt. The town has excellent transport links with the nearest airport at Luton only 14 miles away. The A1(M) and, a few miles to the South, the M25 make for easy access to Heathrow and Gatwick by car. The main railway link from London to York runs through the district and there is a 22-minute commuter service to London. The Hatfield Practice have more than 30 years experience in pain management and patient care. Treating and supporting the residents of Welwyn and Hatfield since the 1990’s. Our ethos is that your whole experience at the Welwyn & Hatfield Practice is the best there is . Nearly all of our patients come via recommendation from their family, friends, GPs or consulting specialist. We provide effective acupuncture, osteopathy, physiotherapy and massage. Traditional acupuncture for fertility and pain relief. Plus special holistic treatments such as Homeopathy, Reiki, Indian head massage, aromatherapy and relaxing hot stone massages. Our specialists will take’s time with you. We have always taken customer satisfaction very seriously. We feel better working this way. To us satisfied patients improve faster. After treatment you will leave The Hatfield Practice feeling better and with a good working diagnosis i:e what the problem was. Your physiotherapist will give you a clear an idea of how long it will take before you are better. Most importantly a good understanding of why the problem happened in the first place . We aim to always back our treatments up with good quality educational advice. Neither of us want the injury repeated all over again. Every patient is individually assessed , treated , advised and educated. We have been told the reason why people return to The Hatfield Practice. In general its because we sore high on patients customer satisfaction. We listen, provide high quality treatments and 100% individual attention. We genuinely care about our patient out comes and progression. Those points make our jobs so much more worth while. Being professional, thoughtful, kind and considerate is immensely rewarding. Private healthcare is more than just a numbers game. A stunning Jacobean house within its own Great Park where Elizabeth 1st spent much of her childhood. It has been the home of the Cecil family for 400 years. There are magnificent organic gardens, nature trails, a children’s play area, the national collection of model soldiers, gift and garden shops and a licensed restaurant. Lord Salisbury allows residents of Hatfield Parish to walk in the park. Passes are available from Fore Street Lodge (9-4, Mon – Fri). Evidence of residency and a passport photo are required. Open: (late March – late Sept). House: Tue – Fri (guided tours only) 12 -4, Sat & Sun 1 – 4.30, Bank Holidays Mon 11 – 4.30. Gardens: as house, 11 – 6. Park: as house and Mon, 10.30 – 8. NB Every Friday (except during major events) the house, park and all the gardens are open for Connoisseurs. Events and Elizabethan Banquets are held throughout the year. Telephone the Curator’s Office 01707 287010 for further details. The Museum and the Mill are open to the public throughout the year. Mill Green Museum is a working thousand year old watermill in Hatfield, Hertfordshire, England. It is managed by Welwyn Hatfield Borough Council and admission is £3.50 for adults and free for children under 16-Fri 10-5, weekends and Bank Holidays 2-5.